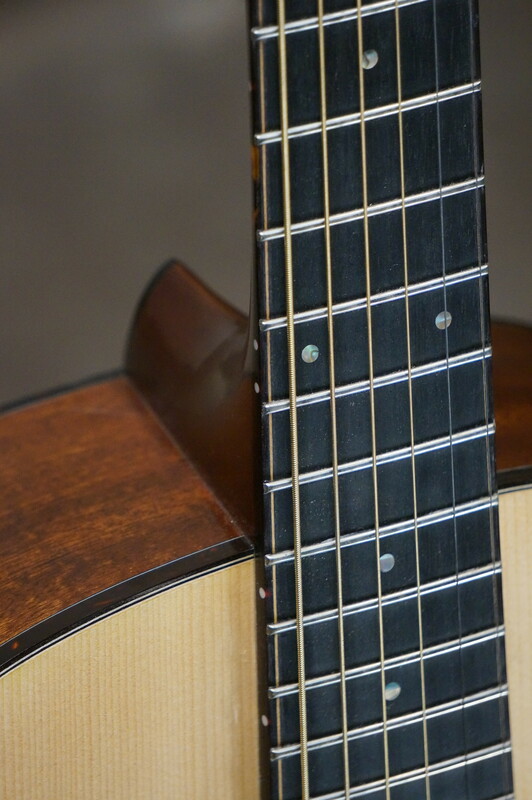 Jim Hurst is an extraordinary musician of many talents. 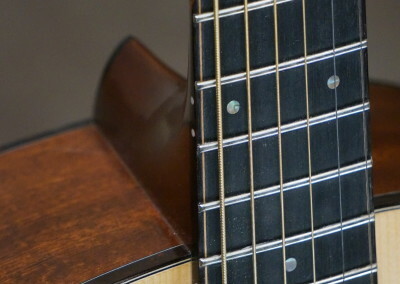 Jim plays a wide variety of different styles of guitar from flatpicking to fingerstyle. 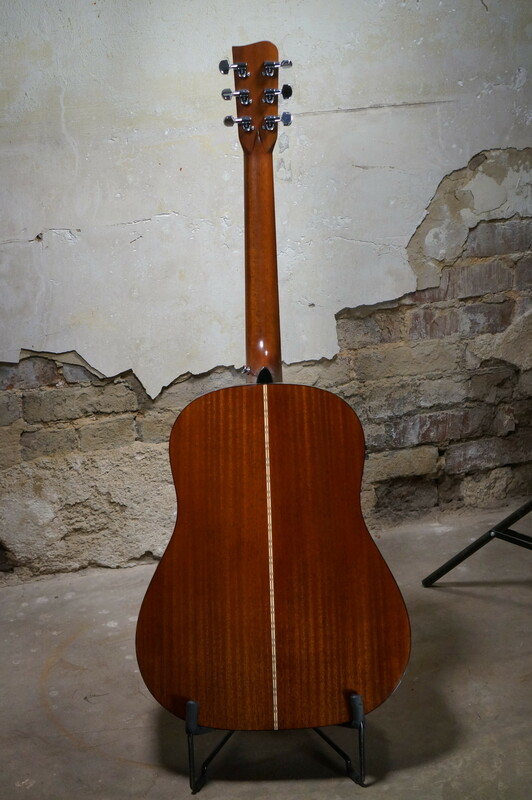 In 1988, a group of Jim’s friends wanted to get him a nice guitar and gave Jim a Gallagher Doc Watson model. 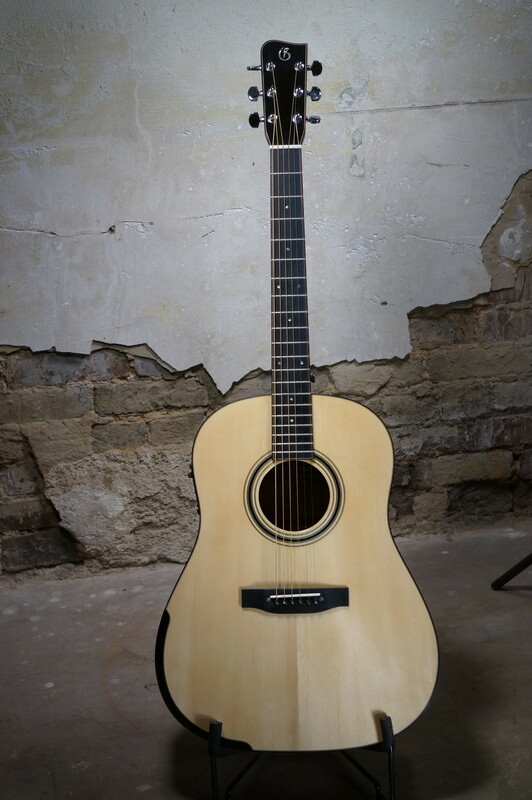 In 2008, Gallagher decided to honor Jim Hurst’s long tradition with Gallagher with the Jim Hurst Model. 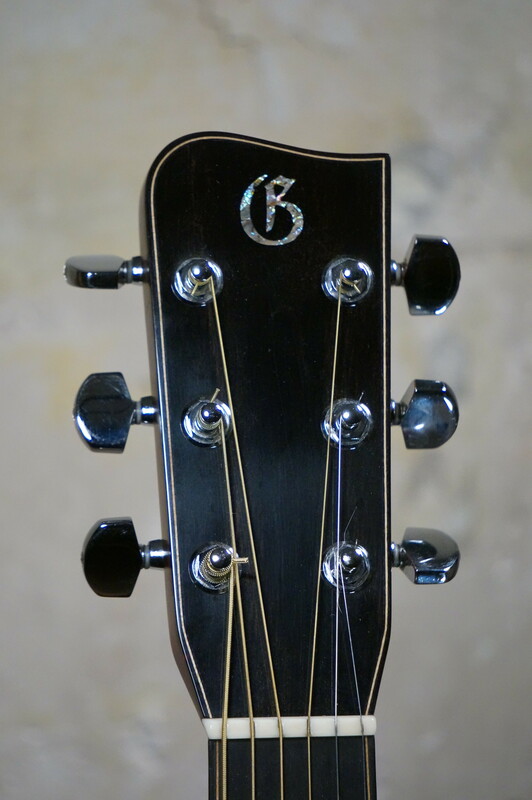 The Jim Hurst Signature model was the first Gallagher model with a slope shoulder body. 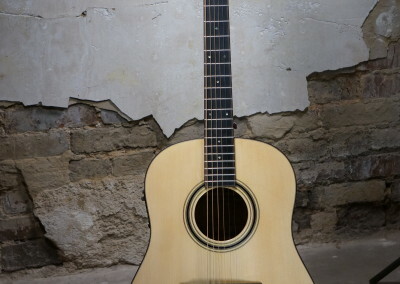 With the help of Jim Hurst, Gallagher designed a model to fit the needs of a versatile guitar player like Jim! 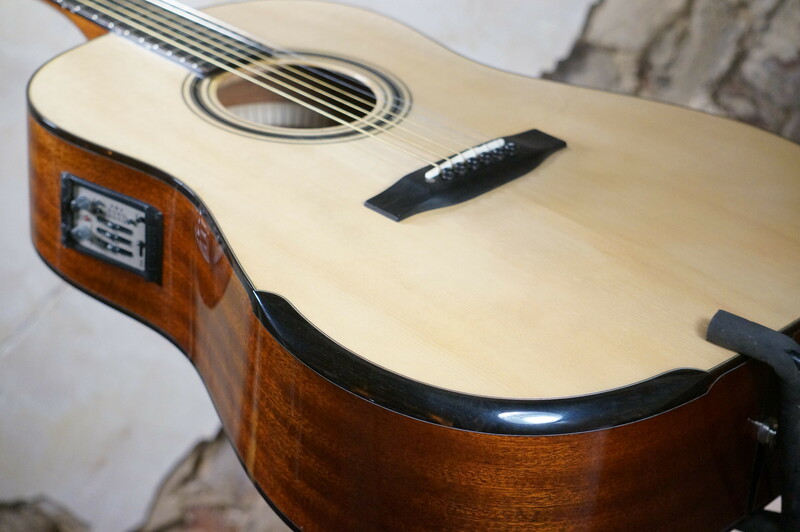 The Jim Hurst Signature is a slope shoulder body with mahogany back and sides and an Adirondack spruce top. 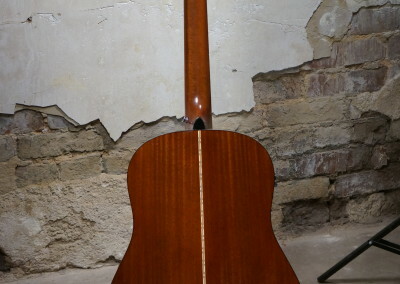 The body, fretboard, and headstock are bound with tortoise and the body has a built in armrest. 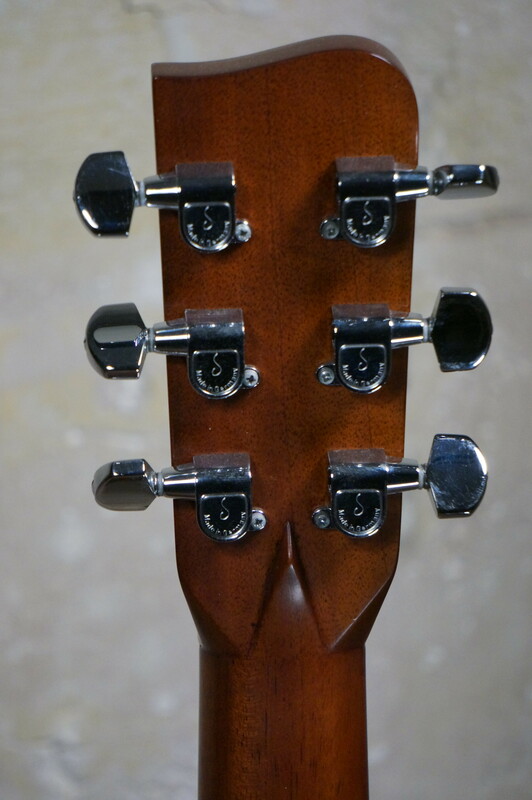 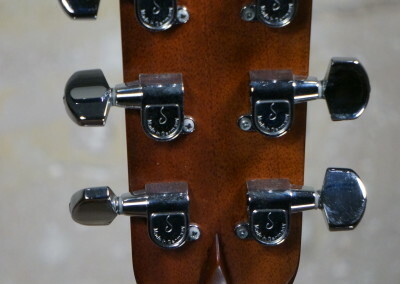 The neck has a 1 3/4″ nut spacing and big C-shaped profile. 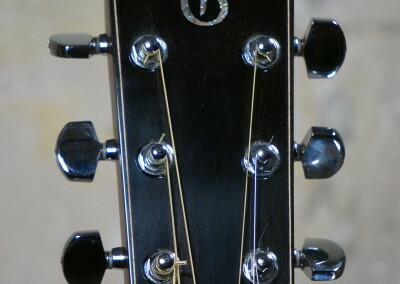 The ebony fingerboard is inlayed with 3mm abalone dots and the ebony headstock veneer is inlayed with an abalone G. The Jim Hurst Signature is fitted with nickel Schaller tuners.